Update: per Fox Sports the game averaged 40.045 million viewers making it the most-watched game since 1991’s Twins-Braves Game 7 averaged 50.3 million viewers. 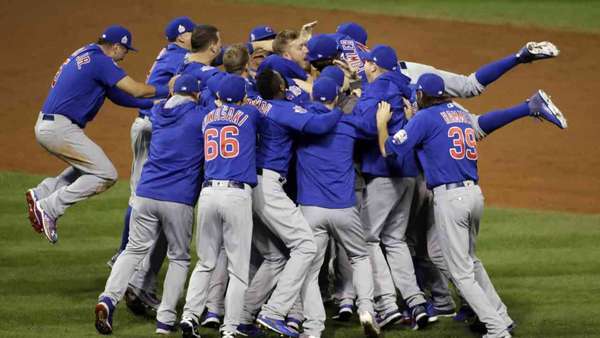 The Chicago Cubs historic win over the Cleveland Indians drew a 25.2 overnight rating (on average 25.2% of the homes in the largest 56 markets were tuned-in to the game). That’s the highest overnight rating for a World Series Game 7 since the 27.0 for Yankees-Diamondbacks game 7 in 2001 and up 66% versus Game 7 of 2014’s Giants-Royals. The game peaked with a 31.1 overnight rating from 11:15-11:30 PM ET. Per Fox Sports’ EVP of research Michael Mulvihill the game drew a 51/2/71 rating/share in Chicago and a 48.6/69 in Cleveland.